In our new 'Christmas Cracker' series, each morning through to Christmas we will bring you a top insight from one of our contributors. These will be diverse and could be a macro call, sector view, stock idea, or even some useful tech. Today's insight is from Charlie Aitken, CIO and Founder of Aitken Investment Management. AIM continues to believe Kidman Resources (ASX:KDR) is the top pick for lithium exposure on the ASX. It remains the AIM Global High Conviction Fund's no.1 lithium position. In December last year, I first wrote to our investors about KDR and the stock is up over +100%. I hope you bought some for your Xmas stocking. Since then there have been a series of developments that bring further credibility to the KDR investment case and reduce the overall risk profile. 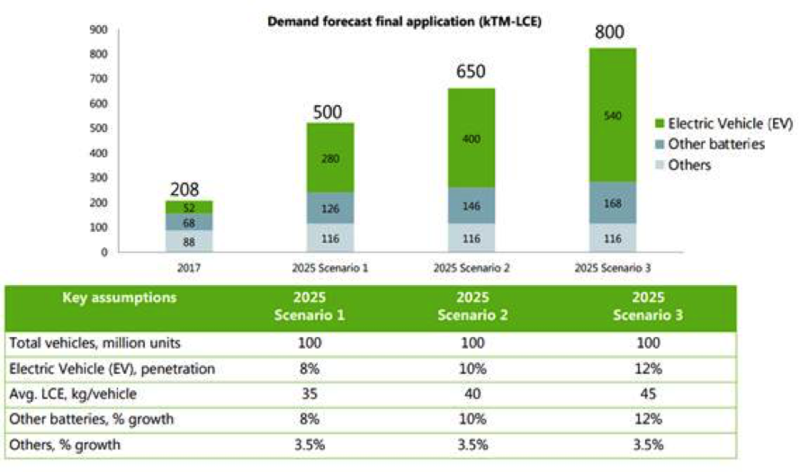 I am of the view there is another +100% to be potentially made in KDR shares over the next few years as it moves from explorer to significant producer. A key reason for this is having SQM as its joint venture partner. Listed on the New York Stock Exchange with a US$15bn market cap, SQM is a globally dominant producer of battery grade lithium carbonate. It has been producing lithium carbonate for over 20 years and has 300-400 lithium customers around the world. 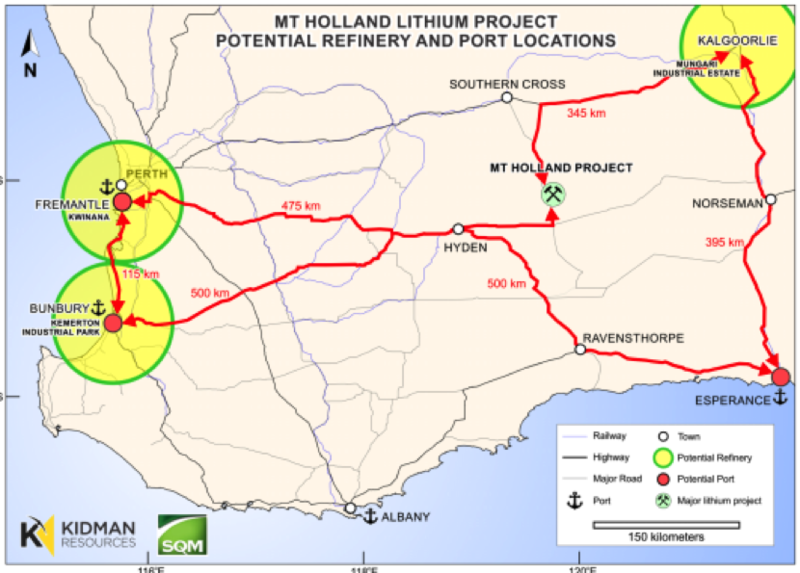 As the Mt Holland project develops, SQM will be able to provide technical expertise, access much cheaper debt for the JV, and more importantly will be able to act as the marketing agent for Kidman’s 50% share. This means it is unnecessary for Kidman to be focusing on signing offtake agreements like many of its competitors. The deal also means that KDR should now be fully funded through to the completion of the mine development. SQM also has an international reputation of delivering projects on time and on budget. With a team of 50 process engineers, and with many of these already focusing on the Kidman/Mt Holland project, we expect this to give KDR a material advantage. The refinery would also become a ‘Project of State Significance’ for the Western Australia economy and therefore would receive an element of fast-tracking and support from the government. While the project will still need to receive a permit for environmental approval the government recognition should streamline this process. In terms of upcoming catalysts for the stock, JV conditions confirmation (primarily FIRB approval) should be seen in the next month. Following this, a more in-depth feasibility study into the mine and the concentrator will be provided in the first half of 2018. We believe this will highlight the significant upside of the refinery model to the market. Another key upcoming decision is the location of the refinery (either in Freemantle, Bunbury or Kalgoorlie). All 3 potential locations are on government land which is important because many of the permits that would be required on private land are unnecessary. With the “project of state significance” tag we are again of the view that KDR will be able to negotiate a good deal with a long lease from the government. This decision is an absolute priority because it is necessary for the feasibility study due in the first half of 2018. On the 29th of November, the company announced additional high-grade drilling results at Mt Holland. The drilling demonstrated strong continuity and thickening of the pegmatite zones and as a result, the company expects to upgrade the mineral resource during the March quarter of 2018. The known extent of the pegmatite has been delineated contiguously over 2km, compared to the 1.4km disclosed to the market in December 2016. It was also stated that the “mineralogy is very encouraging for delineation of another deposit in the Mt Holland Project area”. Kidman’s Managing Director, Mr. Martin Donohue said the drilling was conducted in order to “expand the already globally significant Earl Grey Mineral Resource to enhance the long-term planning for the Integrated Lithium Project”. This was clearly a positive announcement and confirmed Mt Holland as a world-class lithium deposit. With a recent pullback in the KDR share price from $1.685 high, we see an opportunity to buy quality and direct lithium exposure. KDR has a proven and trusted JV partner, does not have Chinese counterparty risk like many competitors and has the potential of significant upside through the refinery. It ticks every box we look for. My fund has further increased its exposure to KDR around current prices as we believe the risk/reward equation is firmly in favour of short and medium-term reward. I think this can be a $3.00 stock, albeit it won’t be a straight line to that medium-term price objective. However, I must remind all readers that KDR remains and volatile and high-risk stock and therefore should be appropriately sized in portfolios to reflect those characteristics. If you believe in a battery powered world then you simply need some lithium exposure in your portfolio. My no.1 exposure is KDR and I encourage you to consider an investment in this growth stock. For the full box of Livewire Christmas Crackers, please click here.